OH, YES WE DID! 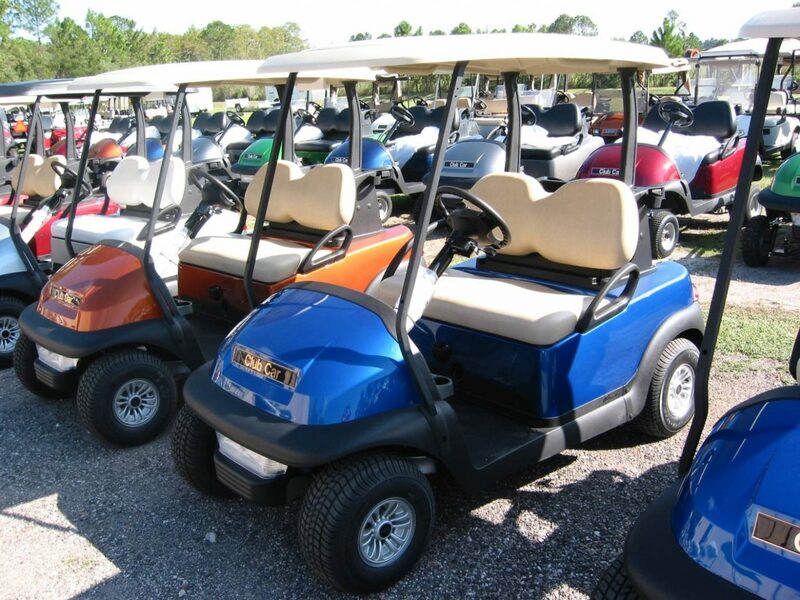 Gulf Atlantic Vehicles, New Smyrna Beach’s premier golf cart provider, carries an enormous array of new and used golf carts – enabling you to find and purchase exactly what you want. And if by chance you don’t see what you need on our lot, we also offer hundreds of options and accessories to create the perfect custom vehicle to match your every need. We carry the world’s top brands in both gas and electric makes and models. We offer a variety of shapes and sizes – from one-person compact golf cars, to four-seaters and even eight seaters that can carry passengers or cargo. Our carts come in a variety of different power levels. Go for optimal power or opt for a more eco-friendly cart. Additionally, our new golf carts come with the best manufacturer warranties. Gulf Atlantic golf carts can come with anything from coolers, to carpeting, to cup holders. There are stylish seat covers, GPS units, radios, and headlights and tail lights for night driving. Some golf cars come with jacked up tires, flashy rims and fender flairs. Some have safety features, including rearview mirrors, brake lights, safety belts, turn signals and headlights, and tinted and reinforced windshields with wipers. Some come with roof racks, storage racks or cooling fans. You can get practically anything on a golf cart! If you have any questions, please feel free to visit Gulf Atlantic Vehicles on Pioneer Trail in New Smyrna Beach or call 386-427-9778.